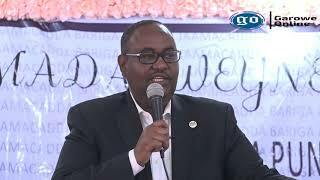 GAROWE, Puntland - The Minister of Environment and Climate Change of Puntland State in northwestern Somalia, Ali Abdullahi Warsame has resigned from the cabinet on Sunday, citing "swelling" corruption in the government, Garowe Online reports. 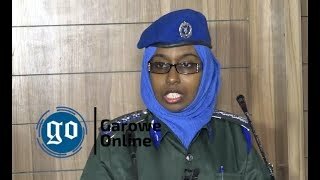 In his resignation letter obtained by Garowe Online, Warsame said he took the decision for his departure after having seen government's failure and lack of commitment to handle internal security, economic and political challenges facing the state. "After having acknowledged that Government institutions in crisis and their operations have been moved under the office of the President and the corruption has reached its peak in the state, I decided to step down and leave office," he added. The minister said the work of his ministry was handed over to an agency which operates under the directives of the Puntland presidency, in what is believed to be a scheme to embezzle public funds and key development projects in the region. Warsame added that his office that was doing momentous serves for Puntland has been left paralyzed and its staff members were not paid for years due to massive corruption and the president's lack of commitment to keep public serves operational. The move comes less than a week after Puntland State Agency for Water Energy and Natural Resources (PSAWEN) took control of a German-funded water project in Harfo and Jalam areas. The cabinet decision prompted confusion and row in the venture. 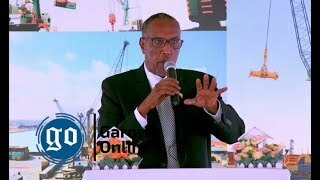 Sources said PSAWEN made rigid efforts to win the lucrative project by setting up close links with senior aides to the incumbent president, Abdiweli Mohamed Ali Gaas whose administration was plagued serious corruption alliterations in the past 4 years. With three months left his 5-year tenure, Ali appointed Abdirisak Burgal, a very close ally as the deputy chairman of PSAWEN. 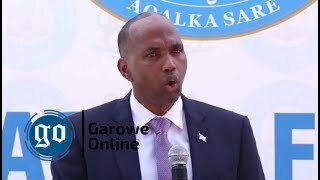 Recently, the German government has declared a decision to terminate funding for Garowe-Galkaayo corridor lack of transparency and accountability. 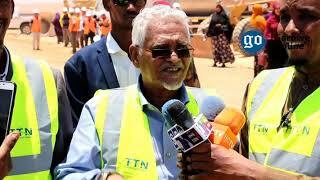 Puntland Highway Authority, an organ of the government was also an implementing partner. The budge to cancel funding of the project which was being implemented by the German development agency GIZ follows several months of disputes over the project which ran into trouble with the tendering process in 2016. The termination of the project on transparency and accountability grounds casts doubts on other donor-funded projects in Puntland as the state is heading to the polling station next year for a general election. 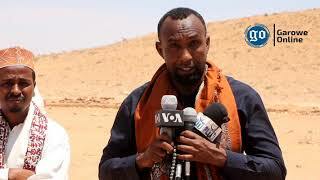 Meanwhile, the state president named Saleban Hajji Abdalla Sardheye as the new Minister of Environment and Climate Change of Puntland State, to replace Warsame, according to a presidential decree sent to newsrooms.